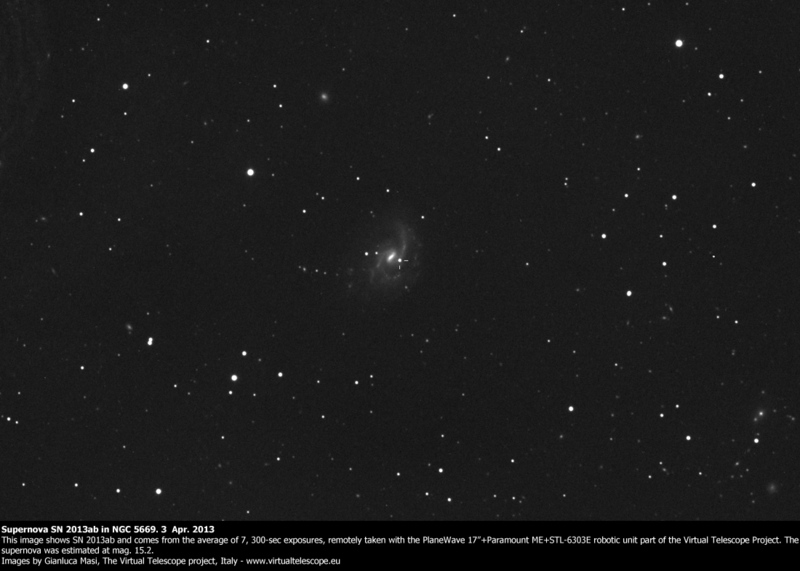 Supernova SN 2013ab exploded in NGC 5669 and peaked at about mag. 14.8. The Virtual Telescope system was used to take and image and a low res spectrum of the star, using both the robotic telescopes available. The PlaneWave 17″ unit captured 7 images, each integrated for 300 seconds, later averaged to get the image above. All images were unfiltered and unguided, with a resulting original scale of 1.2″/pixel (binning 2×2). The supernova magnitude was estimated around mag. 15.2. 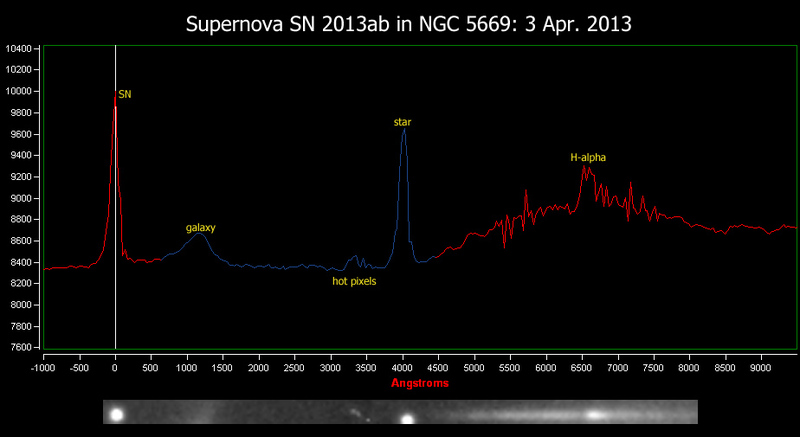 The H-alpha emission is strong, showing how this is a type II (in particular IIP) supernova.